I’ll just jump straight into the steps for getting yourself set up with Git. 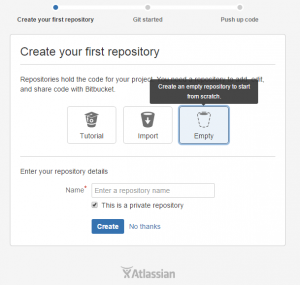 You have two options for creating a Git account, GitHub and BitBucket. For a more comprehensive tutorial on the git commands, check out the Git tutorial. 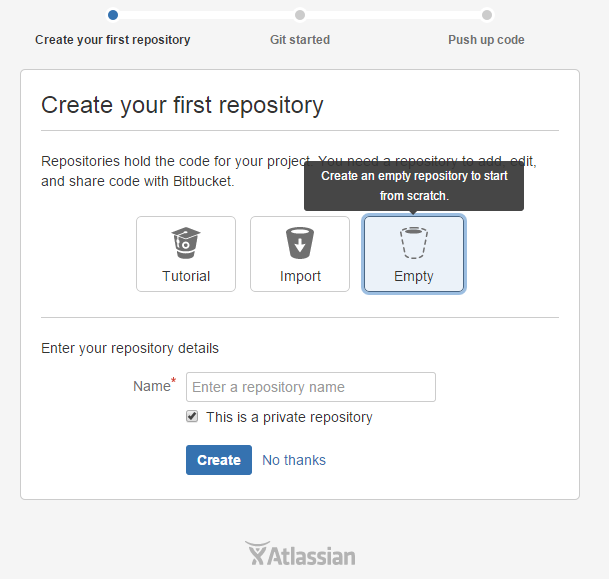 This tutorial will use BitBucket as you can create a free private repository, however everything after the first 2 steps are the same if you use GitHub. 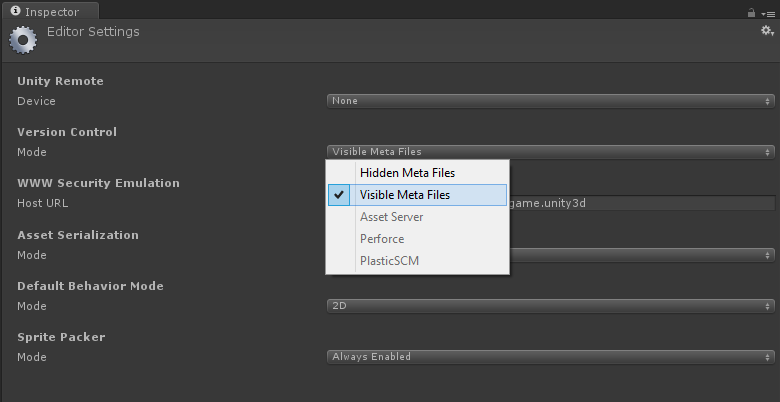 Unity has a bunch of files we don’t want to check into source control. Copy the lines from the following file into your gitignore_global.txt file to ignore these unwated files. 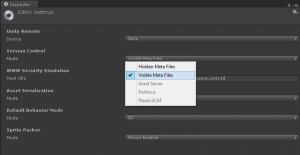 The only directories you need to have source controlled for a Unity project are Assets and ProjectSettings. 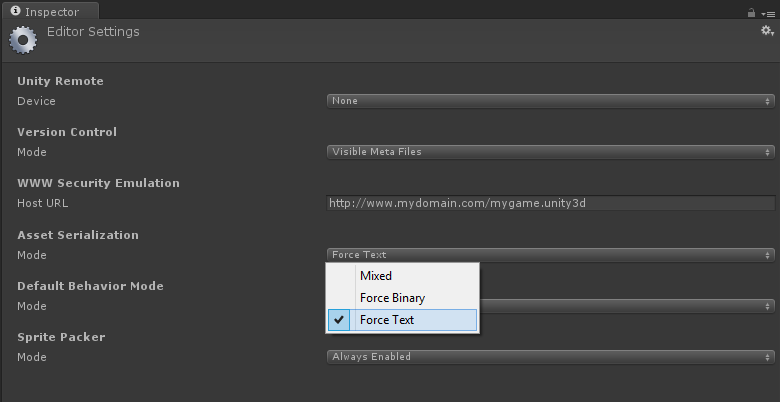 Unity has done a great job of separating all the temporary files out into their own directories. Server repository - This is the server copy of the source tree that is shared between all the users of the project. Changes from each developer are pushed up from their local repository into this shared repository (that sits on BitBucket in this example but can be anywhere). The other downside of Git is that large file can bloat your repository size. For this reason we tend to have our artists and audio director work in Dropbox while working on their files and we only bring completed versions into the repository and Unity project. We use branching for different features/versions of the game, especially supporting multiple platforms. We tend to keep all of our platforms in the main development branch and as we approach a release we create a branch for each platform to create platform specific code and speed up making small platform specific fixes. A great article on branching in git can be found here. After release we merge the branches together and continue working in the single main development branch. I highly recommend checking out Unity Cloud Build for doing continuous integration with Unity. 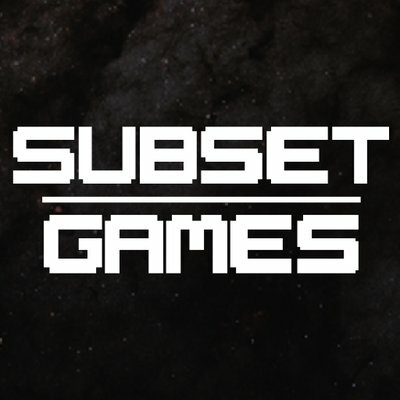 If supports Git and every time you push code to the server the Unity Cloud Build servers will automatically pull this code and make a new build. It currently supports Android, iOS and the WebPlayer. While Git and source control in general can be daunting to non-technical people on the team it is definitely worth getting everyone up to speed. GUI based clients like SourceTree allow an easier transition to source control, however it’s still good for everyone to have a solid understanding of the underlying principles of Git (or any source control you are using). If you’re on windows using Powershell then I recommend installing PoshGit. You can get some instructions here. Please let me know what you think of this tutorial and if I’ve made any mistakes or missed anything out. I tried to keep the tutorial as pragmatic as possible, covering the most common usage of Git. See the links throughout the article for some deep dives into different aspects of Git. What source control are you using? What are your best practices for Git (or any source control) and Unity?